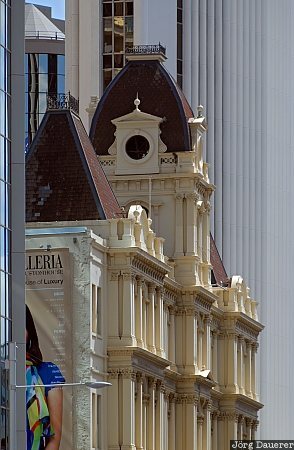 An older building with a white facade surrounded by the modern skyscrapers of downtown Auckland, Auckland, on the north island of New Zealand. This photo was taken on a sunny day in October of 2008. This photo was taken with a digital camera.